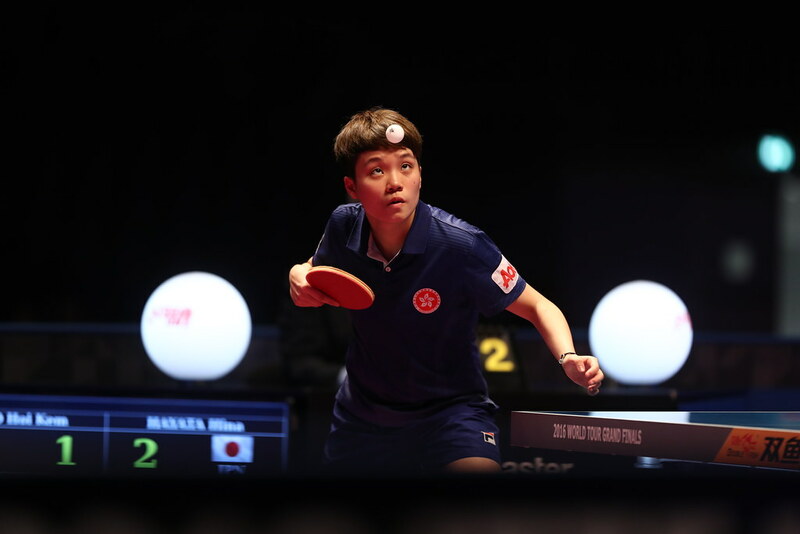 The last minute replacement for Romanian compatriot, Elizabeta Samara; Bernadette Szocs was the player to cause the first upset of note at the 2017 ITTF-Europe Top 16 Cup in Antibes, France. Occupying the no.14 seeded position, on the morning of Friday 3rd February she accounted for Li Qian, the 2009 champion and no.5 seed. Impressively Bernadette Szocs emerged successful in five games (6-11, 12-10, 11-8, 8-11, 12-10), a win that was not only an upset in terms of status but also in terms of style; the defender is not the favourite opponent for the Romanian. Simply consider the countries of Europe, many have defensive players in their midst; not Romania. You have to return to the 1970s to the times of Maria Alexandru, the 1966 European champion, to find a high level Romanian defender. “I am really happy because I didn’t start well in the last two Europe Top 16 competitions and I never went through the group stage. I beat a top player, I’m really happy that I beat her because the last time I played against her I lost three-nil but I have beaten her before. It’s a really good result for me”, Bernadette Szocs. One surprise and in the corresponding contest in the same group, there was another. In the contest between two players who extol the backspin art Viktoria Pavlovich of Belarus, the no.12 seed, overcame Lie Jie of the Netherlands, the no.4 seed (11-7, 14-12, 12-10). Defeat for one defender, contrary to expectations; conversely, according to expectations, there was defeat for another. Germany’s Petrissa Solja, the no.2 seed, beat Ukraine’s Tetyana Bilenko, the no.13 seed (8-11, 11-8, 8-11, 11-7, 11-6). “I’m not so satisfied with my performance but I know that the first match is always hard and I’m happy that at least I was able to win this match considering I was two-one down. It always depended on me how the match was going, if I made mistake she would win the points. We have played many times before and so I know her very well, at the beginning I couldn’t show my best but it was enough in the end”, Petrissa Solja. Success as status advised for Petrissa Solja, in the same group it was also success as anticipated. Sweden’s Matilda Ekholm, the no.7 seed, accounted for the host nation’s Stéphanie Loeuillette (8-11, 11-6, 14-12, 11-4).